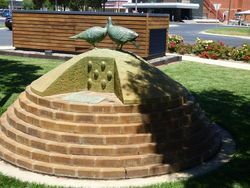 Shire of Lowan erected this memorial to celebrate its 100th anniversary and it consists of seven tiered circles of brick on which is surmounted a mallee fowl "mound" cut open on one side to reveal six eggs. 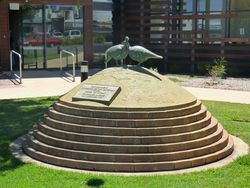 Two mallee fowls, their necks touching stand on top of the mound. 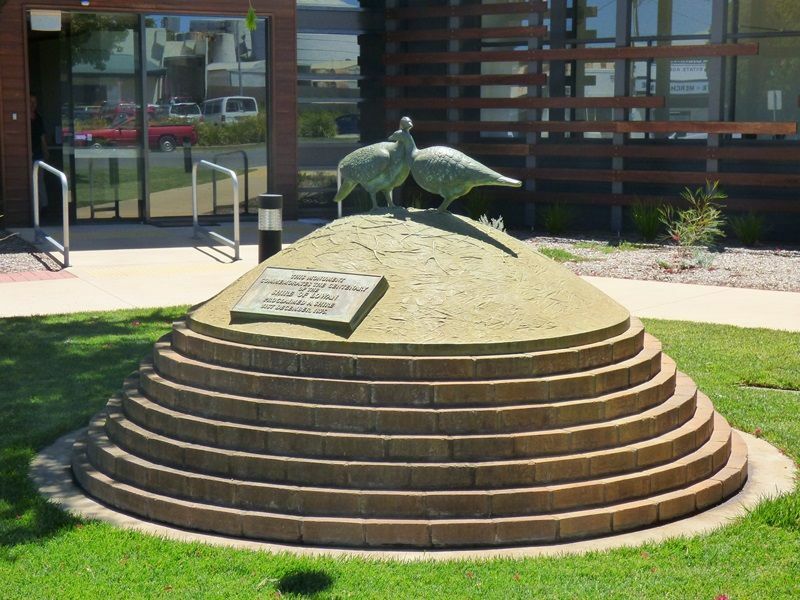 Mallee fowl are one of the most fertile birds in the world, laying up to 35 eggs with most of them hatching. 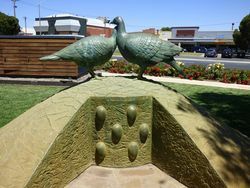 Once so common across Australia, they were a regular roast on the dinner plates of early European settlers. 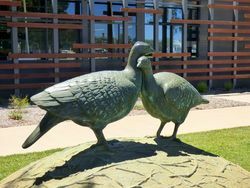 But now much of their habitat has been cleared, with estimates that their populations are only 20% of original numbers. 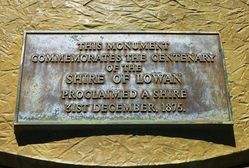 The Shire of Lowan was a local government area in the Wimmera region of western Victoria, Australia. The shire covered an area of 2,861 square kilometres (1,104.6 sq mi), and existed from 1875 until 1995. Of The Eggs In The Mound.